For all those clients interested in buying a property in the south of the province of Alicante, our real estate agent in La Zenia - Orihuela Costa offers you exquisite properties to live and spend unforgettable moments with your family. 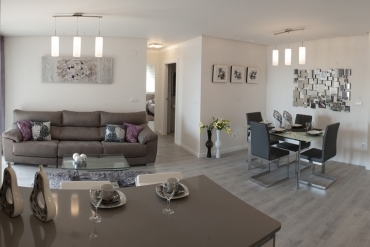 La Zenia is a beautiful urban setting, which has several leisure areas to enjoy with your loved ones. For that reason, our real estate agency in Torrevieja and Orihuela Costa offers you properties in this place. And not any properties. Our homes are completely adjusted to the preferences of our customers. The properties are the ones that adjust to the clients and not the other way around. We have different styles of properties so you can choose the one you prefer: apartments, villas, bungalows, duplexes and townhouses. A whole extensive range of quality properties. Also, each of these magnificent homes are located at strategic points to satisfy our customers. That is, if your intention is to find a property that is located in a quiet area to live at ease and in peace, our agency has that home you are looking for. 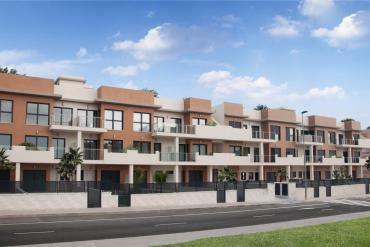 What qualities of properties can our estate agent offer in La Zenia - Orihuela Costa? As we have told you, our estate agent in La Zenia - Orihuela Costa offers you high quality properties. You want a property with a pool, because our agency offers it to you, you are looking for a home near the sea, as our professionals offer you the best, you are looking for a property with a beautiful garden, as our agents provide it. So on. At Casas Espania we worry about fulfilling your dreams. Do not miss the time if you intend to enjoy the Costa Blanca South, and contact our real estate agent in La Zenia - Orihuela Costa. You can visit him by going to our headquarters in La Zenia: Calle Maestro Torralba 4b, Zenia Golf II Shopping Center - La Zenia - 03189, Orihuela Costa (Alicante). You can also call him by phone at 0034 965 083 434 or 0034 678 756 648. Finally, you can send an email to: info@casasespania.com. We have another office in Torrevieja if you want to meet us in this office too: Calle Bizet Shopping Center Local 6 La Siesta - 03184 Torrevieja (Alicante).